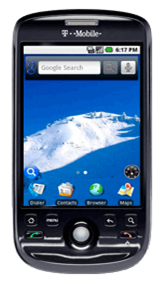 Home » Mobile Devices » Android Devices » myTouch 3G to Get FroYo Update? myTouch 3G to Get FroYo Update? There’s a bit of information circulating across the web right now related to a pending FroYo update for the myTouch 3G. The update, coming ONLY to the original myTouch 3G, is said to be a protracted rollout between now and 25-Oct-10. The myTouch 3G Fender Edition, 3.5mm Headphone Jack edition and the myTouch 3G Slide are still slated to get an update, but just at a later date. I would think that they wouldn’t be too far behind the myTouch 3G. Improved security: Numeric pin and alpha-numeric password options have been added to unlock the device. Exchange administrators can enforce password policy across devices. Remote wipe: In the event a device is lost or stolen, Exchange administrators can remotely reset the device to factory defaults to secure data. Exchange calendars: Exchange calendars are now supported in the Calendar application. Auto-discovery: With just a user name and password users can easily set up and/or sync an Exchange account (available for Exchange 2007 and higher). Global Address Lists look-up: This functionality is now available in the E-mail application, enabling users to auto-complete recipient names from an entire directory. Faves Gallery gives customers quick access to the 20 people who matter most. Customers can scroll through their Faves Gallery and instantly see the most recent communication from their top 20 Faves – calls, texts, emails, instant messaging, and social networking updates – and respond in a flash. Home screen Tips widget provides tips on how to configure the home screen with shortcuts and widgets and how to make use of multiple home screens. Market widget lets you keep on top what’s hot on Android Market, showing featured apps right on the home screen. Live wallpapers are available on Android Market, such as Aquarium, Google Maps and many others. Phone, All Apps and Browser now have dedicated shortcuts on the home screen, making it easy to access them from any of the five home screen panels. Quickcontact is now available in Gmail, Google Talk, and Google Voice, right from your device. Users tap on a contact image to access various ways to reach that person, such as call, SMS, e-mail, etc. If you get the update, please give us a shout and let us know what you think of it. I’d love to hear some feedback on the update process for you and on the improvements.